My mom probably rues the day she first made these. 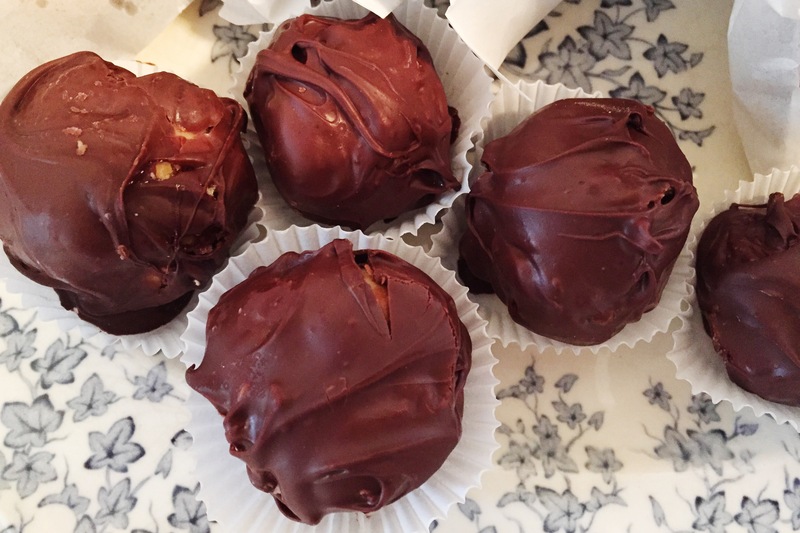 They’re known as buckeyes around my house, but I’m pretty sure the rest of the world calls them peanut butter truffles. My mom’s line is: “They are a pain to make. You either have to love them or love someone who does.” I love them. Fully and wholeheartedly. They are like your own peanut butter cup. What could be better? Mix butter, peanut butter, and sugar together. Make 1” balls. Chill for at least 2 hours.